Learn How To Sing Like a Pro Online at The Singer's Corner Today! Welcome to The Singer's Corner - the best place to learn how to sing and improve your voice online! 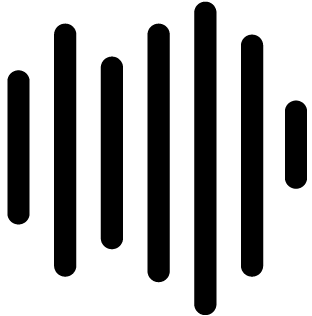 We’re a blog dedicated to the art of vocal mastery. Psst… This Video Will Make You a PRO Singer FAST! 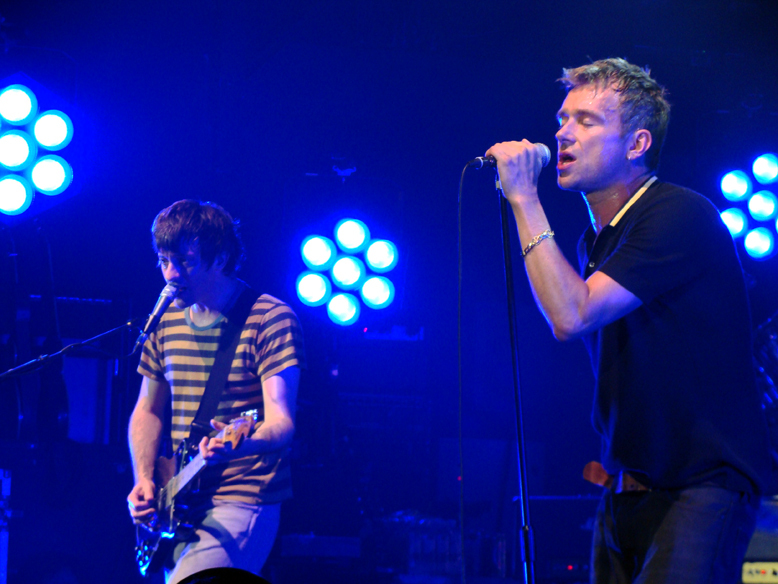 If you’re already a singer then see our tips on how to sing better. And of course, to start a career in singing you need to learn how to become a singer professionally. Important Note: Before we get into it I want you to know this. The voice you’re born with is not the voice you’re stuck with. We are often told or think that the natural way we sound is all we have to work with. That’s not true. Like any muscle in your body you can train your voice to be stronger and work better. So don’t ever feel like you “can’t sing.” You just need to train. So what’s the best way? First, know what the important areas of your voice are (See the basics below). Then do exercises that train these areas regularly. Pitch – are you in tune? Tone & Resonance – how does the character of your vocal sound? Power & Dynamics – How loud and soft are you able to project? Range – Can you hit high notes properly? You’ll want to spend at least a week focusing on each of those areas. The most important areas you should focus on are controlling your breathing and changing your voice and how it works/sounds. Simply put, you should be able to steadily count from 1 to 30 without taking a breath and without straining yourself. If you can’t do that, you’ve got work to do. How to Improve: Practice these 7 different types of breathing – they will promote control and relaxation in you. You want to practice your breathing regularly – do these different techniques over and over. It will promote relaxation, endurance and control. To produce an “easy tone” all you have to do is make a natural sound from your mouth. Without any tension or strain make a short and quick “hmm” sound – as if you just learned something interesting. Use your natural pitch – don’t try to hit some specific note/pitch. Just be natural – whatever you’re most comfortable with. How To Improve: Keep making that noise over and over again. This will promote relaxation. Gradually, make the “hmm” sounds longer and longer. Next, practice humming while imitate how a siren goes up and down. Doing these things will help you hit different pitches and also connect your different voices (head /middle / chest voice) without any noticeable transition. What Does That Mean? What that means is you will sound MUCH better. Now this is just one type of vocal exercise. There are a lot of different ones out there and they all work to train a different aspect of your singing voice. When learning you want to practice several specific types of vocal exercises daily. Of course… this is a long time. But if you do this diligently, you will become a spectacular singer. But Who’s Got 8 Months??? I know what you’re thinking – “I want to get better NOW!” And 32 weeks (approx. 8 months) is a long time to wait. Most people want a shortcut, and I understand that. I did too when I first started as a vocalist. So I decided to fast-track things a bit. There is really only one way to get better quickly – vocal lessons. But those can get super expensive. I’m not rich, and I wanted to learn from a pro (not some choir teacher or failed singer) – so a vocal coach or private lessons was out of the question. What’s the next best thing? 3 words – online singing lessons. Why They Work So Well: These courses were perfect for someone like me – I needed to learn about pitch, control, breathing, tone, resonance, vibrato, high notes, endurance, projection and all that AT THE SAME TIME. I didn’t want to spend a year learning everything individually. And these types of lessons are structured in a way to speed up your learning by several months. They stack principles on each other and schedule things to help you learn at a faster pace than normal. The Only Question Left – What to Pick? My personal favorites are either Singing Success by Brett Manning or the Superior Singing Method by Aaron Anastasi. My Results I first started with SSM because I didn’t have the extra cash. I literally started singing better after the first day. After the first week – it was a night and day difference. The entire course took a couple of months for me to finish and by the end of it I felt like I had new control over my voice. I could confidently do any song, in any key and even hit high notes properly. But That Wasn’t All. Shortly after I finished SSM, I decided to buy Brett Manning’s program (using their easy payment plan) – and honestly, I’m so glad I did. Most people would stop learning after one course, but I was hungry for more. And it truly helped me totally master my vocals. ***August 2014 Update: I have to mention something everyone needs to know about Singing Success after a reader of this blog pointed something very interesting about the program out to me. Read all about it in our review. The Best Option Superior Singing Method is a GREAT vocal program. It’s my personal favorite and I had really great results with it. It’s a great course with a ton of bonuses and there’s a ton of great tricks and tips in it. 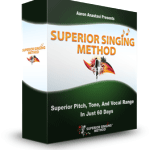 You can also read our comprehensive Superior Singing Method review to learn if it’s a fit for you. An Alternative A great alternative is Singing Success. Brett Manning is a great vocal coach. He’s worked with Taylor Swift and Haley Williams. Best part – it’s got tons included in it. You can also read our full Singing Success Review to learn more about the program, in-depth. If you really want to learn how to sing – and do it quickly – there’s no better way than using an online voice lessons. Read our full set of online lesson reviews to learn more and find out which one is best for you. Improving does take practice, dedication/drive and some investment (time + money), but if you give it your all you will be amazed at the improvements you make in yourself. Remember, there is a lot more to being a singer than just opening your mouth and making sounds. It’s about your breathing, your posture, your pitch and tonal control. There’s a lot that goes into the beautiful sounds you hear on the radio and in you favorite music. What you’ll learn throughout the pages of this website is exactly how you can put that drive and dedication you have to work for you. Check out some of our great articles on our blog. We’ve got articles for every type of issue related to being a singer (hobbyist and professional) and we’re constantly adding new ones. This is very important as this will help determine exactly what type of singing style you excel at. Trying to go for a song that requires you to sing with a higher voice even though you only possess a bass-heavy one will make the song sound a bit awkward. Knowing where your vocal range sits and what your abilities are will help you find your groove and where you feel comfortable. No one says you have to be able to sing every type of song out there. 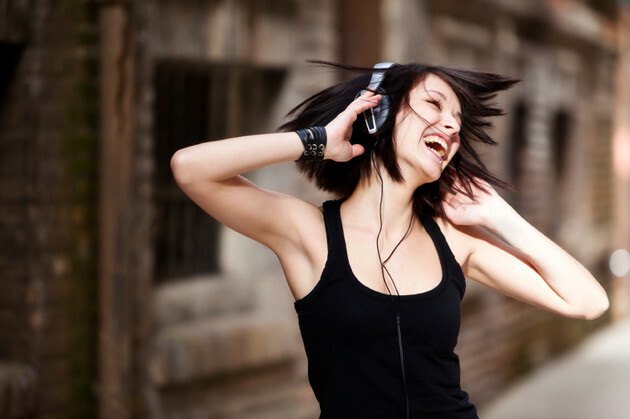 Make and perform the songs that fit with you, your personality, and most importantly, your vocal style. Having said that, you can always improve different areas that will help you do more. But even though you can develop your voice through training, its main characteristics will always remain the same. Push yourself to improve in areas you are bad at, but know your range. Believe it or not, but proper posture greatly affect the way a person sings. This is because the air flow gets constricted when you slouch. Standing straight will allow the air to travel to and from your lungs much more easily. It will also make your voice sound better, so it’s well worth paying attention to. Many singers forget about this because we see people singing in music videos and television/movies very casually. But what you don’t see is the singer practicing or in the studio when the recording is made. They’re most likely standing up tall. You should also try to learn some proper breath control techniques while singing. If you do not learn to breathe properly then you will find yourself running out of breath quickly and this can seriously impact the other types of improvements you make. This may seem like a no-brainer, but you’d be surprised to know just how many people slack in this area. It cannot be stressed enough how important practice is – even when you are a professional. The only true way to improve one’s skills is to constantly practice. The best singers in the world rehearse for 12 hours a day, 6 days a week before major performances. If you’re serious about this stuff, there are two absolute musts – constant training and constant practice. Try to find some time in your schedule to practice daily. Setting aside at least 20 to 30 minutes a day for nothing but practice (scales, breath control, etc.) should be enough to help you improve. Even better is an hour a day. The important thing, however, is consistency. You do not want to practice for 2 hours one day and then skip the next three days. If all you can do is 30 minutes per day, but you can do it every single day, that’s much better than practicing for 3 hours every 2 or 3 days. This has to be stated last because, just like practice, it is EXTREMELY important for anyone interested in singing at all. If you really want to take it to the next level then you will need to undergo some sort of vocal training. This is crucial – and you should never be afraid of looking for help everywhere. Always be improving yourself and your skills no matter what. That goes for anything in life, especially singing if this is your passion. Far too often we let our ego get in the way of our own progress. If you’re a singer, there’s a 50/50 chance you think you are great and you can slide by without really working on your single biggest asset (i.e. your voice). But then again, if that was the case with you… you wouldn’t be on this site. Your best bet here would be to try and locate a good vocal coach in your local area. The great thing about a personal vocal instructor is that you get real-time feedback. Someone is there to hold your hand through your progress. This can be very beneficial. The only problem is that vocal coaches tend to be SUPER expensive (if they’re any good, that is). And unless you’re willing to dish out hundreds (sometimes thousands) of dollars every month, you’re not going to get the type of attention that you deserve. Most will see you for half an hour to an hour PER WEEK. But, it’s still a great option if you can afford it. Learning How To Sing Online The next best thing (and I really mean it) is going through some type of online vocal course. There area some really great options out there that are almost like having a permanent vocal coach for a one-time fee. Most programs that are worth something are between $97-$150 (one-time) and give you a full set of video instructions and audio exercises that really improve you in every way. The only drawback to this is that it is usually all self-study. So you have to be diligent in watching the videos and practicing the exercises. If you commit to it and do the entire course, however, you WILL IMPROVE by leaps and bounds. It’s a huge difference. Even experienced singers say they’ve improved from the types of courses we recommend on this site. Not only is this more practical on your end, but it is also very cost effective as well. And some of the courses (like the Superior Singing Method or Singing Success) even allow you to ask the instructor questions that he, himself, will answer. Seriously consider this, even if you think a vocal coach would be better. If you go through an online vocal training program first, when you finally do end up hiring a personal vocal coach you’ll be so far ahead that it will actually make one session per week worth it. The next step is really up to you. Are you trying to learn how to improve your voice for a particular genre of music? Read our Jazz and Blues articles on our blog. Or maybe you want to learn how to sing high notes? We’ve got a lot of different articles here that you can read for pointers on specific areas of vocalization. If you’re absolutely brand new to singing and are looking for a place to start off with fundamentals then I suggest checking this Vocal Technique 101 Course by Berklee’s School of Music. You can sample the course for free. If you can’t afford that course and just need to know some basics check out this great resource by the BBC. Once you’ve read through some of our articles, your next move should be some formal training. 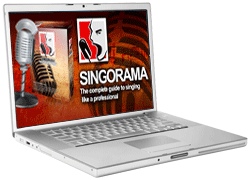 Read our online vocal lesson reviews to find out which program will be best for you. Thanks for taking the time to check out our website. We’re here to help, so please send us an email if you’ve got questions or article topic ideas for us. We’d love to hear your comments too! And if you found this site useful, tell your friends on Facebook, Twitter or Google+! To your singing success!